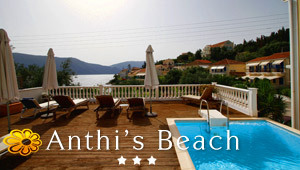 Ampelaki is a charming restaurant located at the end of the beautiful harbor of Argostoli. The restaurant is located near the ferry terminus and the visitors are guaranteed wonderful views of the sea, teaming with beautiful yachts and ferries, which come in and out of the harbor. It is housed in a lovely flat building with great decoration. The restaurant serves well cooked food that clearly reflects the culinary skills of the chef. The staff is very kind and quick, focusing mostly on the customer’s demands. The high quality food and the friendly atmosphere are the strongest motives for one to come here. More importantly, the restaurant having respect to all its customers allocates access and essential facilities for people with disabilities.